I started this project about two years ago when I was inspired by other Hello Kitty fans who showcased their transformed bedroom into a Hello Kitty themed room. I felt it was time to unpack all my Sanrio possessions from Storage and put it all on display. In this way, I have to get over my fear of keeping it in brand new condition. 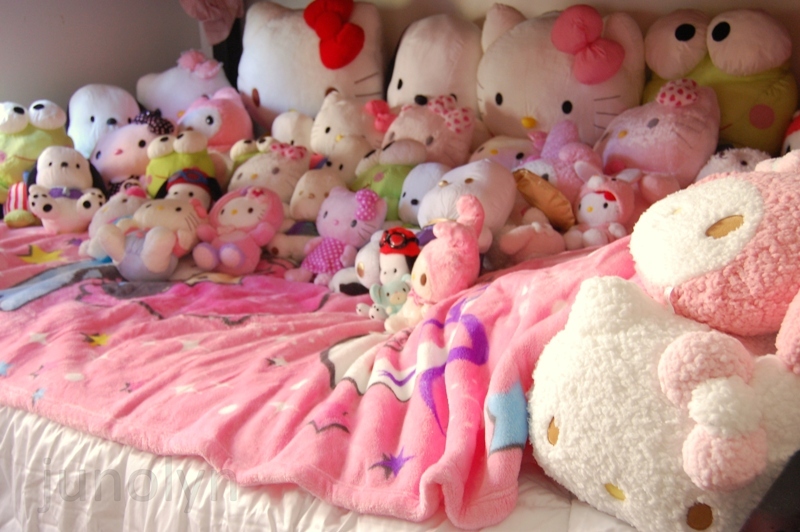 With my collection, I was set in a sea of plushes, so I focused on searching for a decent looking blanket. Unfortunately for me, all the Sanrio boutique stores could not help me with my project. 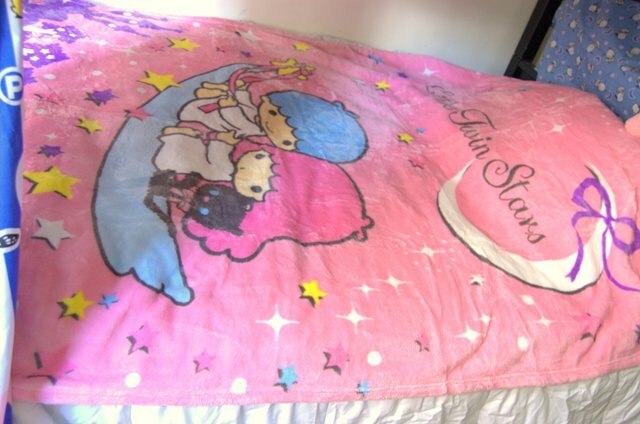 I could not find any blankets that fit my taste of what did not scream "too kiddie." Next, I tried eBay as my last resort and hit the jackpot. I found the perfect sized Little Twin Stars blanket that wasn't too small for my Queen sized bed. I was hoping to find a Hello Kitty version, but most other versions out there was not to my taste. They all screamed too childish or was a knock off made by another company other than Sanrio. With my LTS blanket, I paired it up with a plain white comforter to emphasize on the light colors I was striving for in my themed room. I was in luck to find a matching color in a HK neck roll pillow (as seen above) on Sanrio Japan's official shopping site. 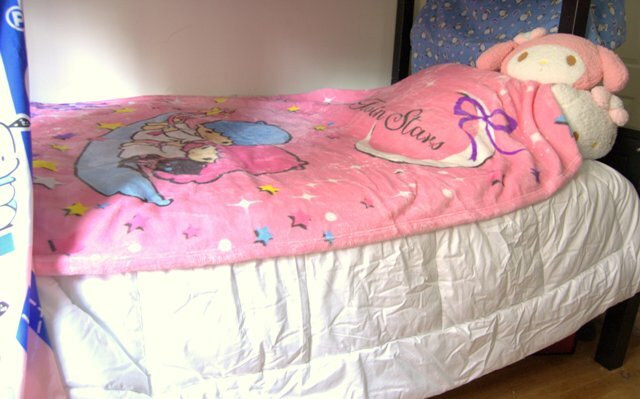 I believe it was intended as a long body roll hugger, but I felt it would look better like a pillow with the Hello Kitty face peeking out from the bedcovers.